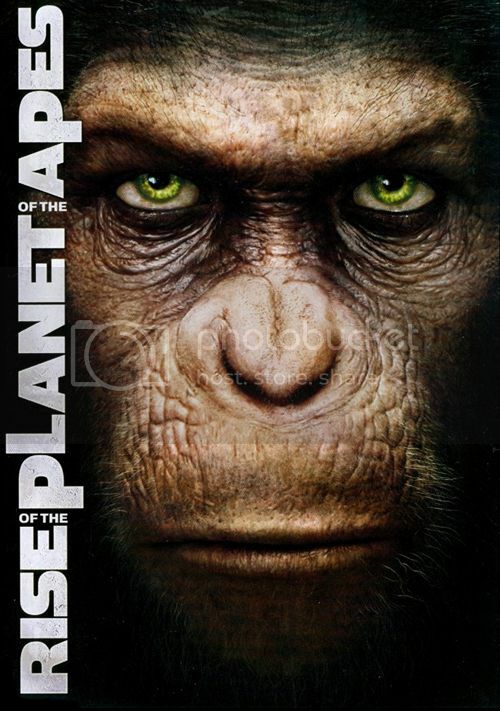 Buy, Rent or Skip Rise of the Planet of the Apes? A little back story about my views on the original Planet Of The Apes films. I think I was maybe 7 or 8 when I saw the first movie. Even though I thought the Special FX (Costumes) and the idea behind the story that Apes could achieve the level of humans in intelligence, I never became a fan of the series. I really don't know why, but I think it had to do with the movie already feeling at bit dated, even at my young age. I am not a diehard fan of the series mythology. I never read the books or anything regarding what came after the first film. I didn't care for the sequel and I couldn't watch those that followed. I saw maybe 4-5 episodes on TV. That's it. I did however give the series another shot when Tim Burton's reboot came out many, many years later and once again, I came away disappointed. I thought Burton's film visually was good, but the script itself was horrible. So, when Rise Of The Planet Of The Apes came out, even though the Trailer looked interesting, I had no desire to see this. But then I read about Andy Serkis and his involvement with Motion Capture to bring life to another CGI character (Gollum, King Kong) and how his performance had sparked buzz that he would be nominated for his performance. That brings me here tonight. Rise Of The Planet Of The Apes is beyond amazing. It's enthralling, thrilling, scary, heartbreaking and touching. Sometimes it's all of the above in the same scene. I'm just glad they kept it grounded in "reality" and didn't have all of them moving around like and speaking like humans. At least give it time before they take it there. Before I even got to the end of the movie I kept saying "I want a sequel". I didn't even have to wait that long for the set up for a potential sequel. It's basically spelled out for you doing the End Credits. There was one moment in the movie where I thought they had jumped the shark and effectively ruined the film because the writer decided to do fan-service and include the "get your damn hands off of me, you dirty ape"! In that moment I had thought they ruined everything they had just set up. But before I could even finish that thought, it served up the pinnacle scene a mere 5 seconds later when Caesar finally speaks when he screams NO! It....was......AWESOME!! Anyway, I highly recommend this as a Rent. For me, this is a definite Buy as it's a fun, entertaining movie that I'm sure to watch many times in the future. FYI, this movie is ALL Andy Serkis! He owns it big time. I've a mild interest. I did see this as a kid when it first came out in Cinerama. At the time it was thrilling. Today I find it dated. This new reboot is pretty good. I would recommend a viewing if your into scifi. I'll watch it if I run across it, but it still just a mild interest. Curious to know, but what is your opinion of Burton's film? I liked it a lot. Yea the plot could've been better, but I loved all the different apes and characters.